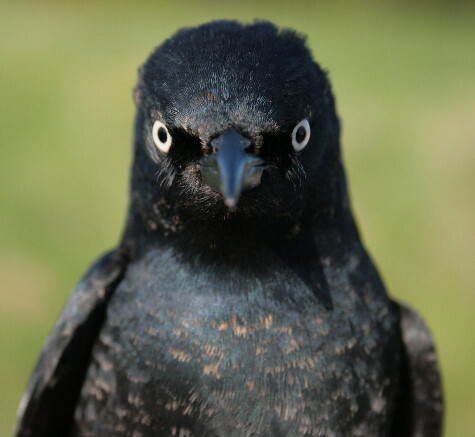 Nothing glares like a blackbird. Rusty Blackbird male; banded May 13, 2010 at Innis Point Bird Observatory in Kanata, ON. So that’s a Rusty Blackbird. The yellow eyes certainly make it look alert. Whoa. You must have done something really bad to get THAT look! why does the name ‘Darth Vader’ surface in my mind…? That’s a perfect shot! He does not look happy. He was hoping for the sterling silver band. “Disappointed” doen’t do the mood justice.